This is a set of passages from Stephan Jay Gould's The Mismeasure of Man, 2nd edition. New York: W. W. Norton, 1996. It is t is a companion post to the text from Samuel G. Morton. “Yet the history of many scientific subjects is virtually free from such constraints of fact for two major reasons. First, some topics are invested with enormous social importance but blessed with very little reliable information. When the ratio of data to social impact is so low, a history of scientific attitudes may be little more than an oblique record of social change. The history of scientific views on race, for example, serves as a mirror of social movements (Provine, 1973). This mirror reflects in good times and bad, in periods of belief in equality and in eras of rampant racism. The death knell of the old eugenics in America was sounded more by Hitler’s particular use of once-favored arguments for sterilization and racial purification than by advances in genetic knowledge. Second, many questions are formulated by scientists in such a restricted way that any legitimate answer can only validate a social preference. Much of the debate on racial differences in mental worth, for example, proceed upon the assumption that intelligence is a thing in the head. Until this notion was swept aside, no amount of data could dislodge a strong Western tradition of ordering related items into a progressive chain of being. Mismeasure of Man, 2nd edition, 54-55. “Agassiz speculated freely and at length, but he amassed no data to support his polygenic theory. 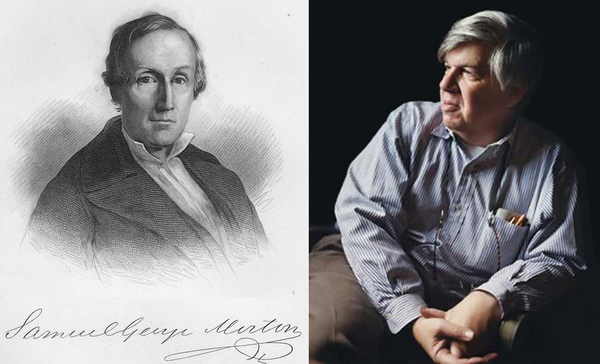 Morton, a Philadelphia patrician with two medical degrees --- one from fashionable Edinburgh --- provided the ‘facts’ that won worldwide respect for the ‘American School’ of polygeny.... Yet Morton gathered skulls neither for the dilettante’s motive of abstract interest nor the taxonomist’s zeal for complete representation. He had a hypothesis to test: that ranking of races could be established objectively by physical characteristics of the brain, particularly by its size. Mismeasure of Man, 2nd edition, p. 83. Mismeasure of Man, 2nd edition, p. 85. During the summer of 1977 I spent several years reanalyzing Morton’s data. (Morton, the self-styled objectivist, published all his raw information. We can infer with little doubt how he moved from raw measurements to summary tables.) In short, and to put it bluntly, Morton’s summaries are a patchwork of fudging and finagling in the clear interest of controlling a priori convictions. Yet--- and this is the most intriguing aspect of the case --- I find no evidence of conscious fraud; indeed, had Morton been a conscious fudger, he would not have published his data so openly. Conscious fraud is probably rare in science. It is also not very interesting, for it tells us nothing about the nature of scientific activity. Liars, if discovered, are excommunicated; scientists declare that their profession has properly policed itself, and they return to work, mythology unimpaired, and objectively vindicated. The prevalence of Unconscious finagling, on the other hand, suggests a general conclusion about the context of science. For if scientists can be honestly self-deluded to Morton’s extent, then prior prejudice may be found anywhere, even in the basic of measuring bones and toting sums. Mismeasure of Man, 2nd edition, p. 88. Mismeasure of Man, 2nd edition, p. 90.